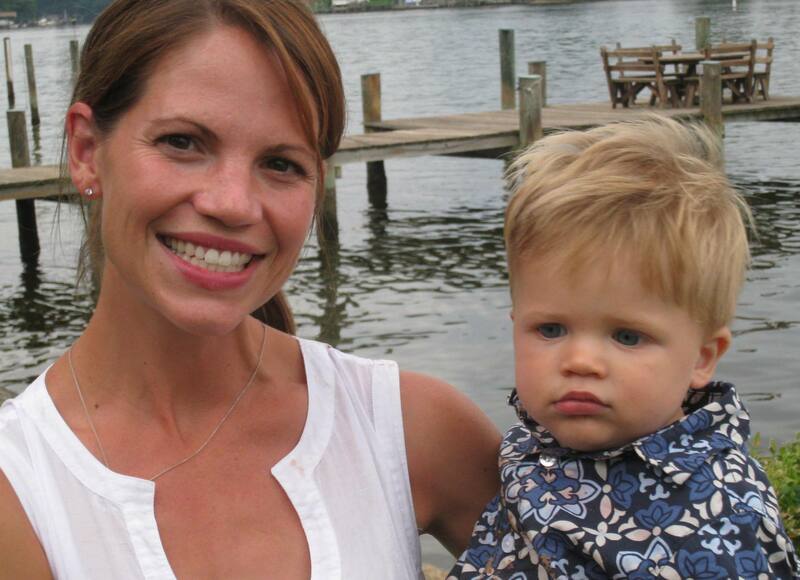 MommyBlog » Happy Birthday Cooper! Today my baby turns one!! What a year it has been, my sweet little Cooper. You are a party wherever you go! Yesterday we had a party for the Cooper man – seven families came to our house to celebrate our little circus. There was fishing, kayaking and lots and lots of FOOD (Cooper’s favorite part). Watching him contemplate the birthday cake was all the entertainment we needed. At first he wasn’t sure if we really meant for him to dive in, but once he realized that it was fair game, dive in he did! He literally ate until he couldn’t eat another bite, then rubbed his eyes and pointed up, as if to say, “Enough festivities… it’s bedtime!” I took him up and put him to bed and the party continued for another hour and a half. Rock on. Aside from marathon cake eating, Cooper took his first steps on Saturday! We were having crabs for dinner on the deck with Casey’s parents, when out of nowhere, Cooper let go of the chair he was holding onto and walked ten steps before plopping amicably on his bum. He has yet to repeat the feat (aside from a step or two here and there) but it won’t be long now! 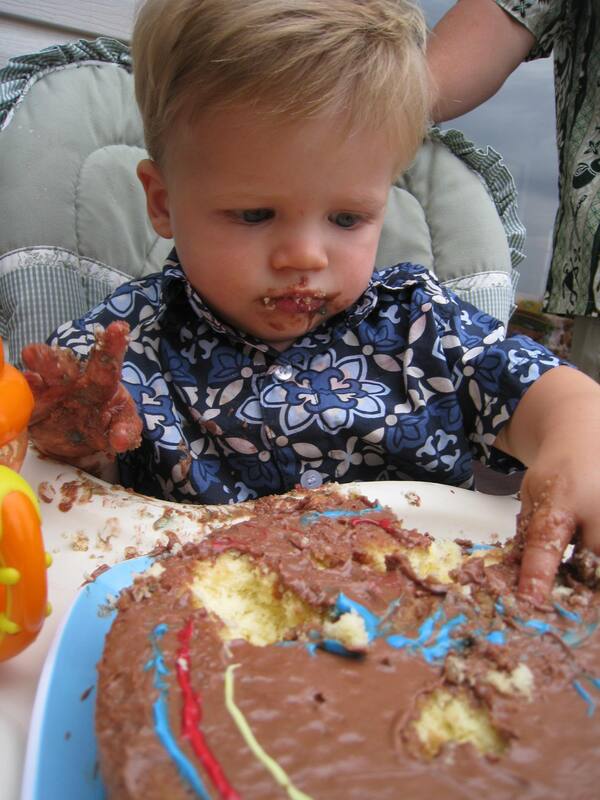 So the real story is that he dove into the cake – one index finger at a time! So cute!!! 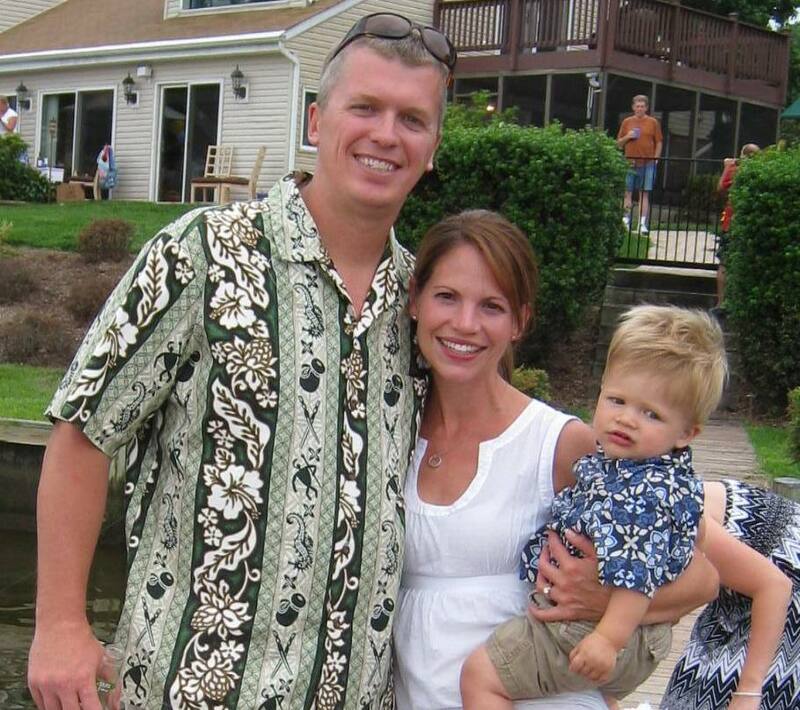 Happy b-day Coop! We love you!!! 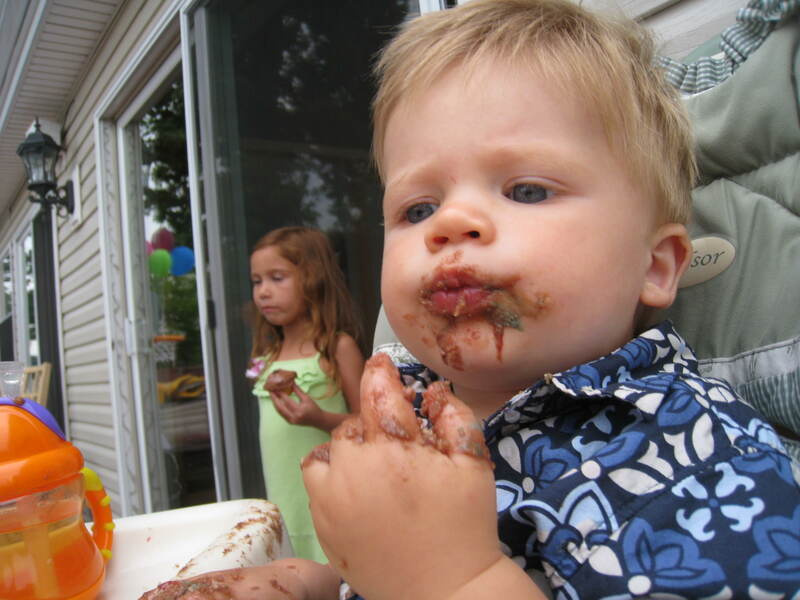 Oh, that chocolate cake picture is too cute!!! Gotta love the little guys! Happy Birthday Coop! Wow! I just discovered your blog a couple of days ago while bored and googling. I am a person who cannot just start reading so over the last couple of days between chasing my 5,almost 3, and my own June 08 baby boy, Happy birthday Cooper! I have read all your posts from the beginning. I really feel like I know your wonderful family and look forward to new posts from you. That is supposed to be a birthday greeting to your Cooper. After I submitted it I realized it looks like a shout-out to my son who has a June birthday the way I worded it lol and it will bug me to death knowing I left it that way.